There are several extremely crucial parts to a car and the brakes are definitely one of those parts. The brakes allow us to stop our vehicles when needed and without working brakes we can have a serious accident. Brakes must be maintained at all times to prevent you from rear ending the car in front of you or running off the road. Having reliable brakes allows you to feel confident that you can stop your vehicle even when driving at high speeds. There are two different types of brake systems found on vehicles. They are drum brakes and disc brakes. The oldest type of brakes is the drum brakes. These are still found on many older vehicles however the disc brakes are the current type of brakes that are being manufactured on vehicles today. Some vehicles have all four disc brakes while some of the new cars still utilize the drum brakes in the rear of the vehicle only. 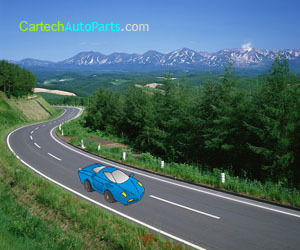 It is common to purchase a car that has two front disc brakes and two rear drum brakes. However the drum brakes that are found on the vehicles today are definitely an improvement over the older version of their ancestors. Having disc brakes in the front of the vehicle is usually sufficient when used in conjunction with the modern rear drum brakes. The disc brakes allow for amazing stopping ability and really only a few types of vehicles really benefit from having all four disc brakes. If you have an older car that still has all drum brakes you may be thinking about converting over to the newer more reliable disc brakes. Replacing your front drum brakes with newer disc brakes can offer you a much better brake system and you may be very amazed at the difference in stopping power your car will have. Purchasing a drum to disc brake conversion kit may be all it takes to get your car up and running with a new brake system. Along with a little time and patience you can have your new brakes installed within a day and have your car back on the road in no time. There are many companies that offer drum to disc brake conversion kits. You will need to locate the right type of kit that fits your vehicle. You will find a variety in prices as well as types of kits. Some may not come with all the necessary parts and therefore you will be stuck trying to find the remainder of the parts before you can finish the conversion. You can find kits that come with everything you need but be prepared to pay a little more for them. You may also choose to use a kit that has some used parts that are still in good condition. These may also be a little less expensive but if you appreciate having all new car parts then you should prepare to pay extra for that as well. Converting your cars brakes from drum to disc may not be difficult for those who are used to working on cars already. If you have the right tools and the knowledge then working on your cars brakes may be a cinch. For those that have little experience in dealing with cars, it is better that you leave this job up to a professional. Whenever work is being done on a vehicle's brakes it must be taken very seriously. Not only could you cause permanent damage to the car but you could also install them incorrectly and find yourself on the road with malfunctioning brakes. Once your new disc brakes are installed correctly you will not be sorry you made the choice to convert from your old drum brakes to the newer disc brakes. Driving your vehicle will feel amazing and you can feel much more confident in your vehicle's braking ability.